Jennie Danfors Furman is a Nutrition and Cooking Arts teacher at Mountain Song Community School (MSCS) in Colorado. Since MSCS started 3 years ago, Jennie has designed and developed a Cooking Arts program for children grades 1-8. She is originally from Sweden, where she received a bachelor’s degree in Recreation and Corporate Fitness, and she holds a Masters Degree in Holistic Nutrition from Clayton College of Natural Health. 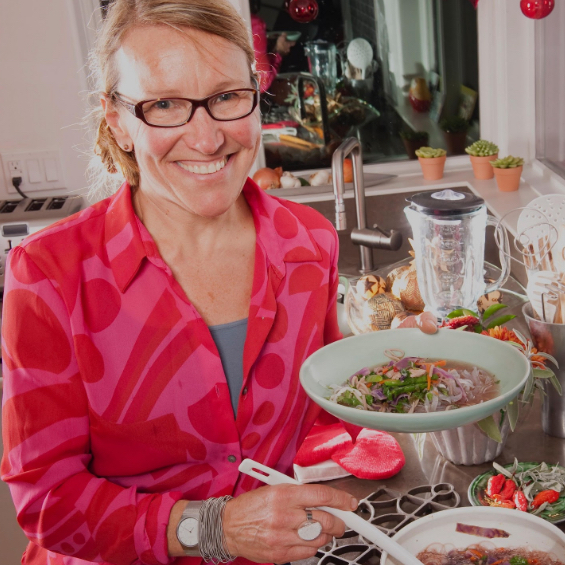 Prior to teaching nutrition and cooking arts, Jennie worked as a neuromuscular massage therapist and as a ski and mountain guide and founded Pause to Eat, a nutritional consulting business. In her free time, Jennie loves being out in nature, backcountry skiing, hiking, and mountain biking. She loves textiles, is an avid knitter, and has a passion for the arts, interior design, and architecture. She also loves to travel and has been very fortunate to go back to Sweden to see her family in the summers, along with traveling to Nepal, South America, New Zealand, and Australia. Jennie lives with her husband Steven and her teenage daughter Annika in Colorado Springs and part time at their cabin in Breckenridge, Colorado.